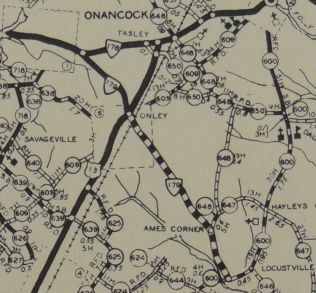 Creation: Appeared in July 1933 as a renumbering of VA 540, running from VA 178 (now VA 126) Onancock southeast through Onley and ending at SR 606 Locustville. This is the only VA 179. Adjustments: In Apr 1951 (CTB), VA 179 east was truncated to US 13 Onley, leaving behind SR 789. In Aug 1990 (CTB), VA 179 was extended west to the Onancock Wharf, replacing part of VA 178. Improvements: Paved from Onley to Onancock upon designation. 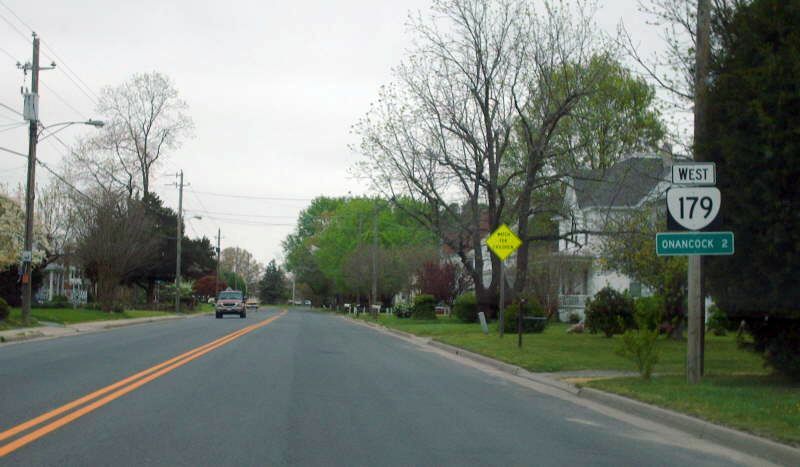 VA 179 was paved Onley to Locustville about 1936. 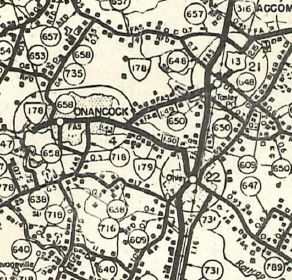 In 1982, VA 179 was multilaned from US 13 to Onancock. Scenic Byway: VA 126 west to Onancock Wharf, since 2-16-94. Comment: Provides direct access to Onancock from US 13 northbound. Onancock is a charming city.